This last February, I had the great privilege to travel with the Communications team from St. Louis to Papua New Guinea. I worked there with Erik Lunsford and Kevin Armbrust to chronicle the work our missionaries and partners are doing there. When you get a chance, make sure you check out the story now published at Lutherans Engage. Take a special note of the video recorded and produced by yours truly, with the help of both Erik and Kevin. I’m having way too much fun in the back of a truck with a camera. Photo by Erik Lunsford. We stopped a for a little bit tonight to talk about our preparations to return stateside for home service. Enjoy. In recent history, Papua New Guinea declared a National Day of Repentance. As Luther noted, the entire Christian life is one of repentance. This year, LCMS Missionaries in Papua New Guinea are speaking out against Sanguma or accusation-based violence against women and children in PNG. LCMS Missionary to PNG, Anton Lutz, joins us to talk about it. What Can a Missionary Advocate Do For You? Mr. Eng from North Carolina arranged this meal with Lutherans from All Saints Lutheran Church in Charlotte, North Carolina. Meet Mr. Doug Eggert. Sometime in 2016, we received information about a church that wanted to learn more about our work and potentially sponsor the Askins in Asia. I proposed a Zoom chat, and we were introduced to Mr. Eggert. While, I don’t think Mr. Eggert has been given any official title at Immanuel Lutheran Church, he has served as our advocate. We organized the first Zoom chat through Mr. Eggert. We did a test run of the Zoom chat with him. He has organized subsequent video chats. He records videos of school children singing happy birthday to our children. Mr. Eggert continues to advocate for us with the pastor and people of Immanuel Lutheran Church. The people of Immanuel are eager to support us, and Mr. Eggert works to shepherd their zeal in the right direction. In other words, he has served as our Missionary Advocate to the Lutherans of Simpsonville, South Carolina. You just received a call from a missionary. He wants to visit your church and present about his work in foreign lands. 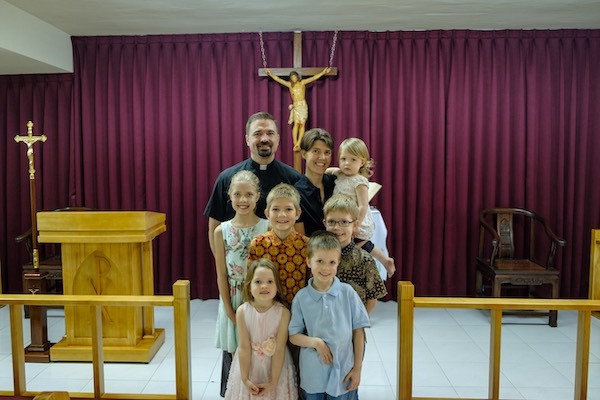 Now, you’ve recently read articles about the LCMS’s Network Supported Missionary model, and you know that missionaries return home on a regular basis for Home Service to reconnect with supporters. But you also know that preparing for a missionary visit takes work. The congregation has to be asked and notified. You've got to make sure people show up for the presentation and have all the necessary information. During his presentation, the missionary will probably ask the church to support him. This means that the work does not stop after the missionary visits. You will have further conversations about support. You have to keep the missionary before the congregation regularly in prayers and conversations lest parishioners forget about him and why you’re supporting him. On the one hand, you want to support him. You can’t imagine the difficulty of traveling to raise support for your work. On the other hand, you’re not keen to add more work to your plate or other church leaders. If the work of supporting a missionary seems daunting to you, consider appointing a Mr. Eggert. You might call this person a Missionary Propagandist, though Missionary Advocate might work better. If you have an evangelism or missions board, they might already be doing some of these functions, but there’s value in having a dedicated person fulfilling this role. A missionary advocate (MA) will have organizational skills so that important deadlines do not get missed or forgotten. An MA delights in hearing about and supporting the international mission of the church (some international experience helps). Finally, passion is a plus. Can you think of anything I missed? Let me know. A missionary advocate helps prevent missionary support from falling through the cracks of a vigorous congregational life. Incidentally, it might be worthwhile to consider sending the missionary advocate to visit your missionary in the field after a couple of years as a thank you. A missionary advocate can provide a great way to support a missionary without adding another task to the plate of the pastor, secretary, or missions board. I’m currently working on a packet of information for Missionary Advocates on the many ways your congregation can support a missionary. In the meantime, subscribe to the Askins in Asia newsletter to get more information about supporting a missionary from my blog here. * Please adapt this list to meet the local needs of your congregation. I very much doubt a Missionary Advocate will be able to do everything on this list; it simply provides a list of possibilities. Dr. Martin Dicke rejoins us to talk about Pr. John Mos, a pastor in Papua New Guinea. He regularly hikes through the bush for a couple of days at a time to get supplies to care for God's people in the Papaki circuit. Listen on for more details. What is Home Service? It’s an opportunity for missionaries to reconnect with family, friends, and supporters. It often includes a lot of hard work, but it also provides wonderful opportunities to reconnect, rebuild, and relax. Luther’s Small Catechism guides the Christian life. Prof. John T. Pless from Concordia Theological Seminary, Fort Wayne, Indiana shared this message with Lutheran pastors and laity in Taiwan. 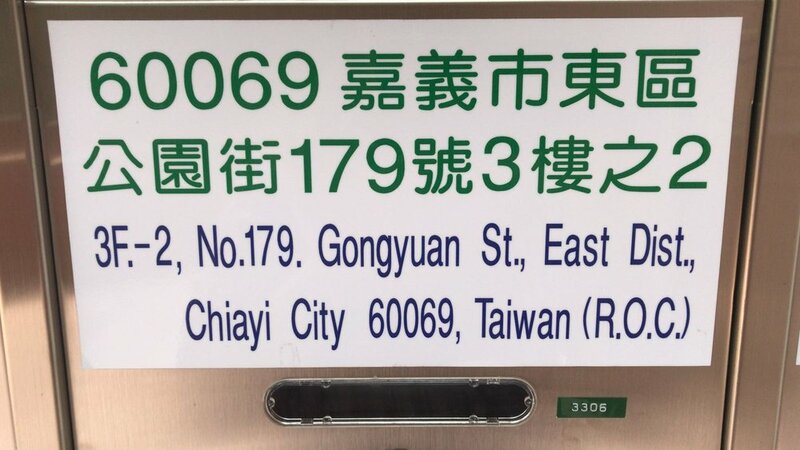 He and Dr. Michael Paul, missionary to Taiwan, also distributed free copies of his book Handling the Word of Truth which was recently translated into Mandarin. The Ockhi Cyclone devastated the campus of Concordia Theological Seminary, Nagercoil. The Lutheran Church—Missouri Synod Disaster Response team stepped in to help.